in February is now available for free download by Hoof Blog readers. In A preliminary case study of the effect of shoe-wearing on the biomechanics of a horse’s foot, published in the Open Access journal PeerJ, an international research team explored the capability of combining still and motion imaging and modeling technologies and systems to evaluate the effect of a stainless steel horseshoe on the function of the same foot of the same horse. The horseshoe's effects were compared to the same foot of the same horse without a shoe. 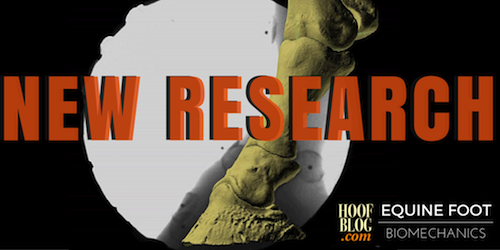 This early experiment is expected to be followed with additional research that would be applicable to the safety and efficiency of racehorse hooves. 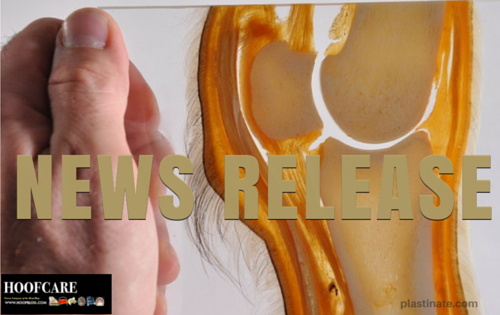 The American Farrier’s Association (AFA) and Purina Animal Nutrition, LLC ("Purina") have entered into an agreement that will lend support for the educational goals AFA stresses for its members. It will also offer Purina researchers an opportunity to share results of their considerable body of work in equine nutrition while engaging farriers in discussions about the impact that they observe nutrition having on hoof integrity. 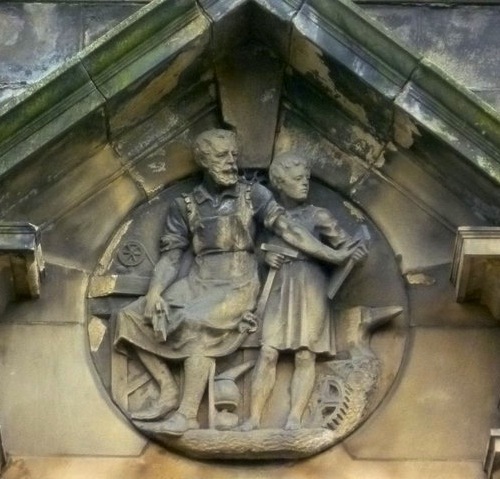 A sculpture honoring the relationship between a master and apprentice above the Craiglockhart Primary School in Edinburgh, Scotland. Photo by Kim Traynor. The Disciplinary Committee of the Farriers Registration Council (FRC) in Great Britain has announced the removal of a long-established farrier from the nation’s Farrier Register. The decision to “strike off” the farrier--thus ending his ability to practice farriery in that country--came after a much-publicized hearing in London in March, when the FRC publicly investigated complaints of bullying behavior lodged by an apprentice the farrier had agreed to train.